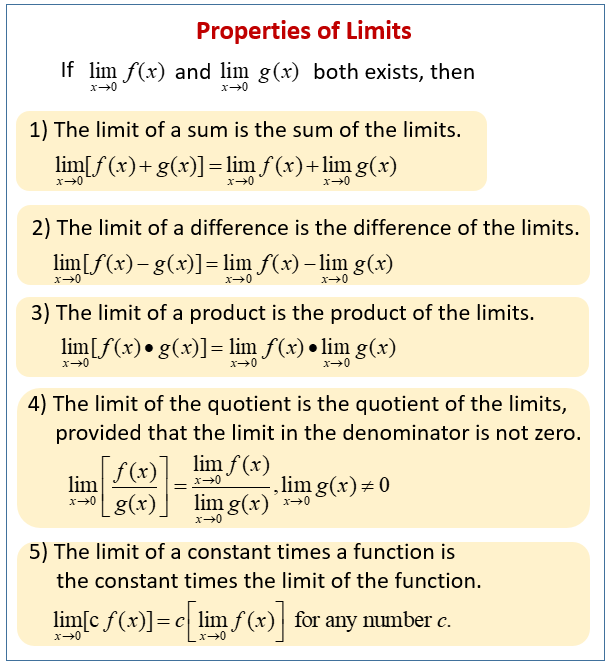 The following diagram gives the properties of limits. Scroll down the page for more examples and solutions. Use theorems that simplify problems involving limits. Use the Sandwich or Squeeze Theorem to find a limit. Given the form of the answer of a limit problem, when can you say immediately what the answer is? When is more work needed?